Welcome to Inflatable Hot Tubs Reviews. We are the home of the best inflatable hot tub reviews online, helping you make the right choice when it comes to buying your inflatable hot tub. 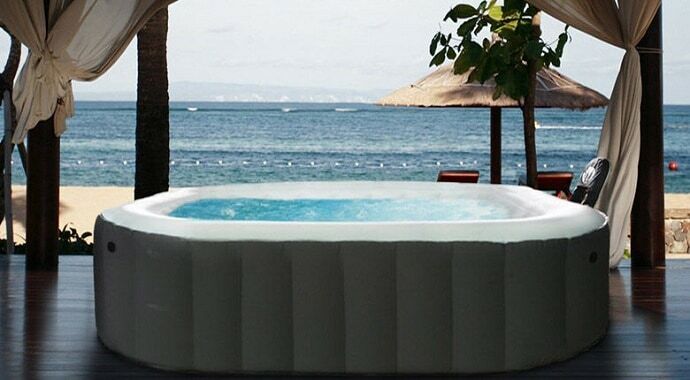 Like us, you may have found there are a lot of inflatable hot tubs out there, and it can be difficult to sort out which are the ones worth buying and which ones are a complete waste of money. One way is to read all the reviews. But this would mean trawling through hundreds of websites and possibly tens of thousands of reviews. And let’s face it, in today’s world, who really has that much time? What we have done for you, then, is to bring all the inflatable hot tubs together onto one site. We then review each one and give you our honest informed opinion. We let you know exactly what you get for your money, what the features and accessories are of each hot tub, any special considerations you need to keep in mind, and the Pros and Cons of each model. It’s also possible that you have come to our site needing some background information before you start looking for your inflatable hot tub – also known as portable hot tubs, by the way, in case you were wondering. In that case, why not head over to our FAQs or to our Inflatable Hot Tub Guide. Here you’ll find everything you need to know about inflatable hot tubs, and whether buying one would be a good idea for you or not. To help you choose your inflatable hot tub, we have separated them into different categories. This will save you a lot of time if you have a price in mind or a model you’re already thinking of buying. We have separated the hot tubs by price, by brand, and by the Top Ten Inflatable Hot Tubs you can buy. We also have a guide to any accessories you might need to think about. Some of these are essential, in order to keep your inflatable hot tub in perfect working condition. These are things like replacement water filters and chemicals to keep your water safe and clean. Other accessories are not essential, but they make great and fun additions to your inflatable hot tub. These include such items as a floating drinks bar, waterproof music speakers, and an underwater light show. Whichever hot tub you end up buying, we hope our advice and ideas prove to be helpful and informative. We also hope that you enjoy the hours of relaxation, health benefits, and fun that owning an inflatable hot tub brings to your life. There are so many great advantages, we are sure you will be glad that you made the decision to buy your very own portable hot tub. We also hope we helped you make the right choice!